There are artists who exceed the norm. There are artists who go beyond what's the usual in the music genre. 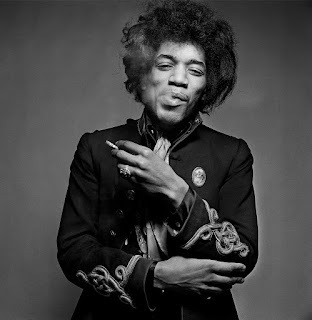 Then there's a one of a kind musician like Jimi Hendrix. Born Johnny Allen Hendrix in 1942, he would grow to become a true legend and be known as the greatest guitarist ever to many. He was a groundbreaking artist, becoming the most revered black musician in the rock genre in many ways, and taking his place in history as one of the best instrumentalists ever. The Seattle born artist is someone who every generation needs to appreciate and today, we wanted to honor the man with a look at his career and legacy in a new DAR Legends post. Let's get into it. Born in Seattle, Hendrix had a rather tough upbringing that shaped him into the man he would eventually become. A mostly tumultuous childhood would leave a lasting effect on him and be fuel for his dreams of making music. His love for music and instruments would lead him to mimic playing a guitar through the hallways of his elementary school, which ended up catching the attention of a school social worker, who felt he needed to have an instrument of his own to play music. Unfortunately, the tough relationship with his father would not make that possible and the years went by without any musical attention coming from a young Hendrix. When he was 15, Hendrix would discover a ukulele while helping remove tbe garbage from an older woman's home while assisting his father on a side job. 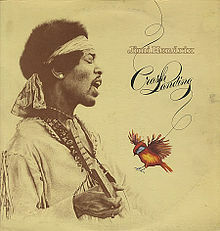 The ukulele only had one string, but Hendrix was determined to work with it and make magic happen. He learned how to listen and play notes verbatim, foregoing the long musical process of learning how to read music and follow those rules. 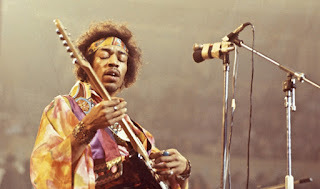 Hendrix played off memory and sound, and he would play single notes of the songs that he learned. Shortly after discovering the gift of music and the ukulele, Hendrix would lose his mother, a truly hard obstacle to overcome. To make matters worse, his father wouldn't even take him and his brother to his mother's funeral, instead allowing to drink whiskey, which is what he taught as the most effective way to deal with loss. With that horrible teaching and advice in play, Hendrix would be tormented in many ways mentally by his father, something that would end up spilling over later on when he became an official artist. Still playing the ukulele, it was obvious that Hendrix would need to upgrade his instrument to really get the full effect of the musical experience. 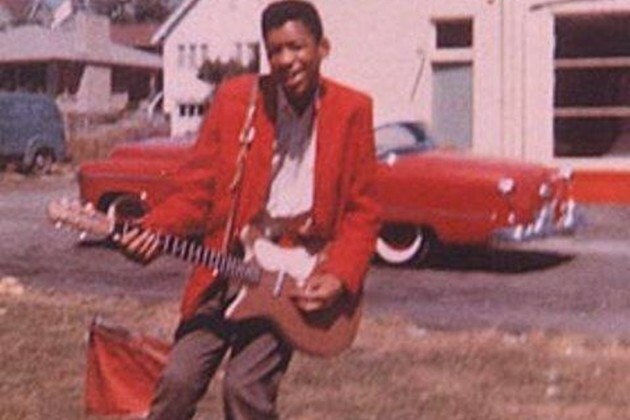 In 1958, he would finally cross that threshold and purchase his first acoustic guitar for 5 dollars. 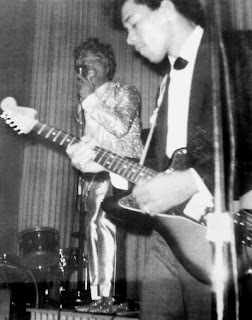 He would utilize the guitar to find his true talent and calling, mastering compositions and notes by watching the more experienced guitarists from B.B. King, Muddy Waters, and more. 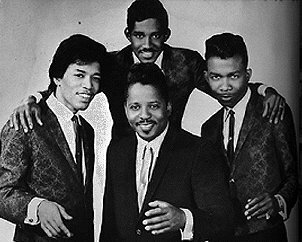 Hendrix was completely enamored with the guitar and playing music and it would soon result in him starting up his own band, The Velvetones. 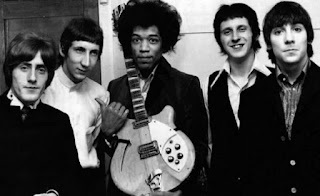 Every budding musician in that era attempted to start a band, and the Velvetones would be Hendrix's first foray into the rock band world. 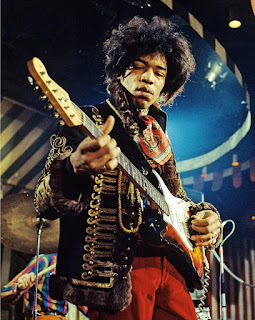 Knowing that he couldn't keep the acoustic guitar as his main instrument while in the band, Hendrix ended up convincing his father to purchase him an electric guitar (a Supro Ozark) and he would get his first gig inside of a synagogue. 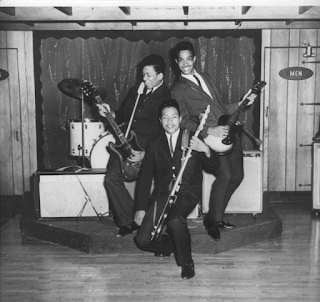 However, that first gig was NOT ready for the showmanship Hendrix brought to the table, and as a result, he would get fired from the band. 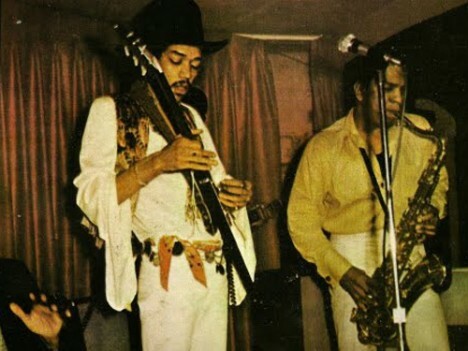 This is a landmark moment for Jimi as he would locate his inner star and performer, and it was evident that he was the MAN, and that he needed an outlet to shine. 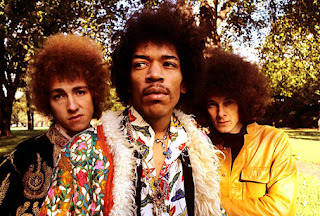 After the Velvetones fired him, Hendrix would go to join another band, the Rocking Kings, and was able to shine pretty bright within the group since the group got gigs at more professional venues. This would be invaluable to Hendrix and his career, as it shaped him for the future. However, his path to stardom was halted by personal problems that led him to take the option of joining the army instead of jail time. Regardless, the military was clearly no place for Hendrix, but it was better than the alternative of jail time. 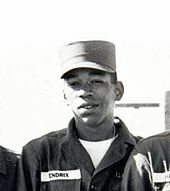 Hendrix would take abuse, physical and verbal, during his time in the military, but he also would receive even more confirmation that he was destined to be a star musician. A serviceman would hear him playing the guitar and attempt to join in with him, and soon, Hendrix was playing in a looser band called The Casuals. How ironic is it that when Hendrix was believed to be away from music and distractions in the military that he would find his way back to it anyways. 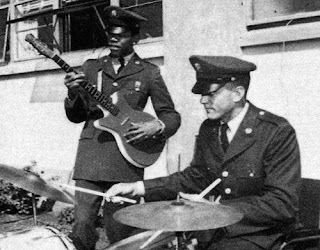 Despite finding his place music within the military, Hendrix couldn't fit in with the guidelines of the military itself, and as a result, he received an honorable discharge. 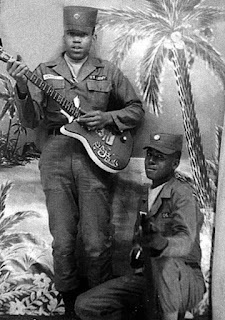 With the military in his rear view, Hendrix set out to renew his music career and take things even higher than he had before (which wasn't THAT high). Soon after his old friend from the military was discharged as well, they would team up and start another band called King Kasuals. 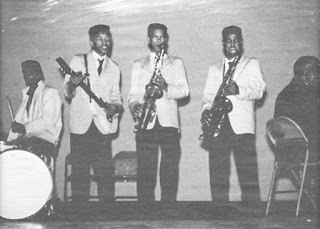 This would prove to be a big deal for pushing him forward in music, as the band would start off with smaller gigs in smaller venues, but turned that into a hugely successful run on the famous "Chitlin Circuit", earning Hendrix some attention and garnering him some backup musician spots for artists like the incomparable Sam Cooke to the legendary Jackie Wilson and Wilson Pickett. 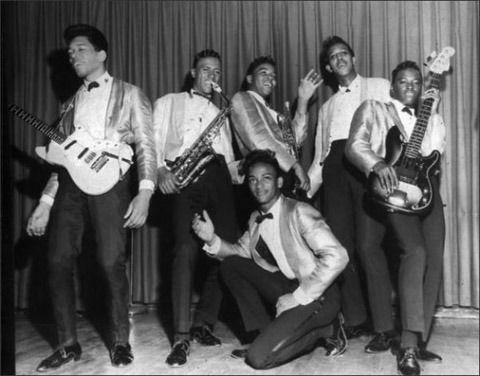 However, after a good amount of time on the circuit, Hendrix would eventually begin working with the Isley Brothers and that's where things really began to take off for him. 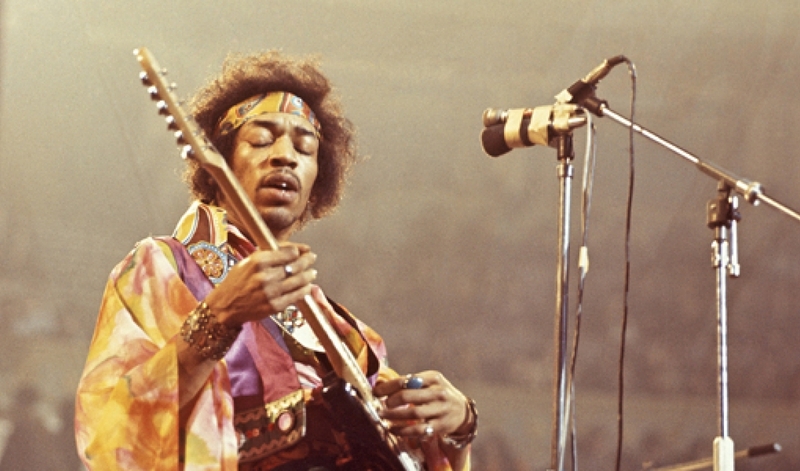 After such humble beginnings, and a crazy journey to get there, Hendrix had finally crossed over into a new plateau. 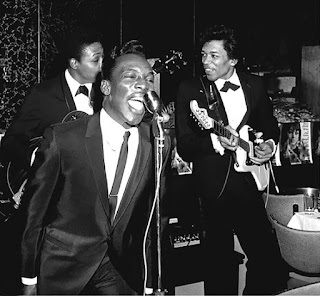 After working with The Isleys, Little Richard, and some others, Hendrix was ready to embark on his own journey and make a name for himself. 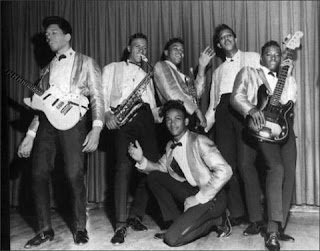 In 1965, he would tour with Little Richard and his band, before getting kicked out of the band for his antics and wardrobe, furthering the fact that Hendrix should have been solo from the jump. 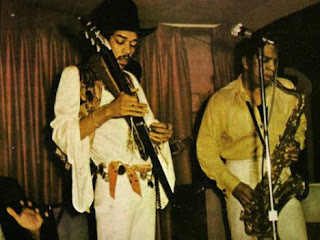 After he rejoined working with the Isleys, he would work with Curtis Knight and his band The Squires for an extended period. 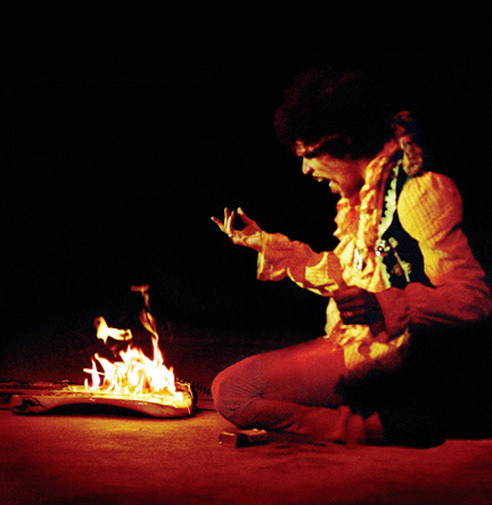 After working with bands and being a secondary thought for all of them, it was time for Hendrix to take things into his own hands. This is where the real Jimi Hendrix was born. This is where he finally became the man and the star he was always destined to be. After moving to Greenwich Village in New York, he started his own band, Jimmy James and The Blue Flames, and would soon get the attention of people with musical clout like Keith Richards of the Rolling Stones, and producers. He would find his way to London, and watch his fortunes finally begin to change. 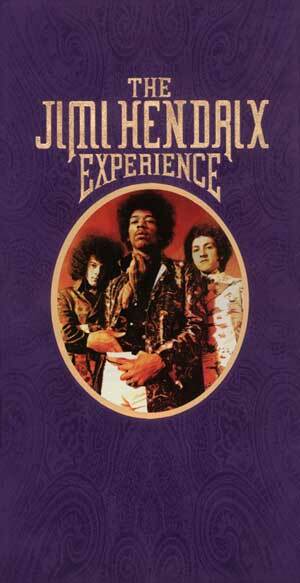 After a long process of building up his own band with Hendrix at the helm, The Jimi Hendrix Experience was born. The band would build up a name for themselves with top notch performances all over London, but the biggest moment of his career came with a performance at the Bag O'Nails nightclub where members of the Rolling Stones and the Beatles were all in attendance alongside Eric Clapton and other big names. 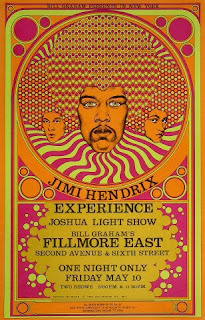 Jimi memorized everyone in attendance that night and from this moment on, you could feel that a star was born. 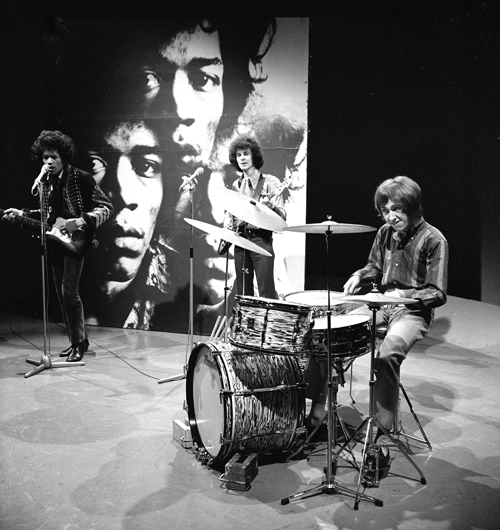 He began earning appearances and interviews all over, being seen on UK television shows, and slowly climbing up the charts with his rendition of "Hey Joe", which is my favorite song from the Jimi Hendrix Experience. 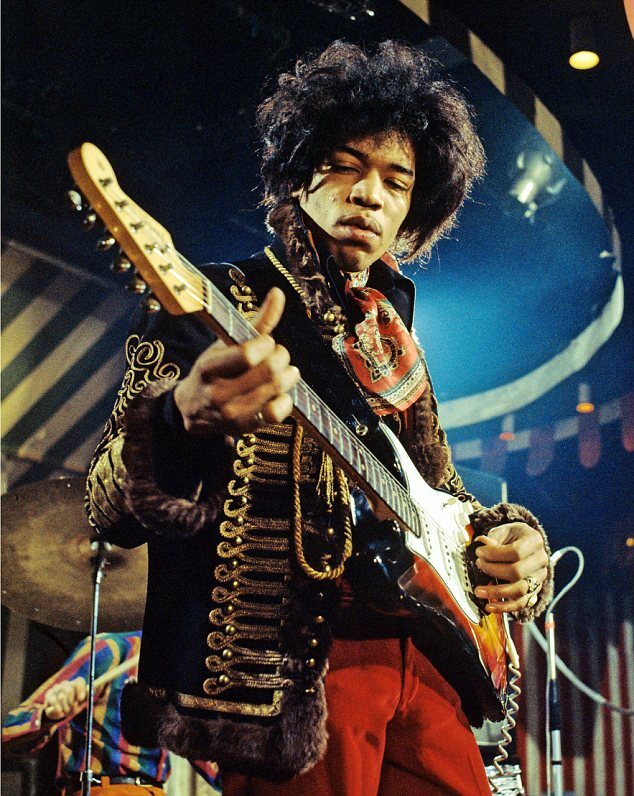 As 1967 rolled around, Jimi began to see more success with songs like "Purple Haze" and "The Wind Cries Mary", and this Seattle native was making the biggest noise all over the UK. However, nothing could be bigger than the moment that lives in infamy when the Experience performed at the London Astoria. Jimi wanted to increase exposure and knew he needed an antic to get the people talking. 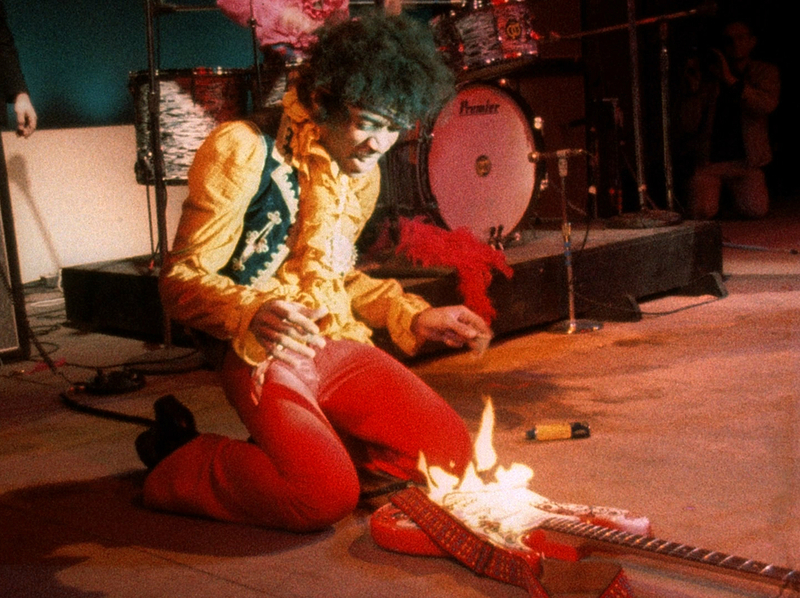 After an amazing 45 minute set, Jimi set fire to his guitar in what is likely one of the most iconic moments ever in rock music history. The media of course took right to his antics and rumblings started upon the man that got labeled by some "The Black Elvis". 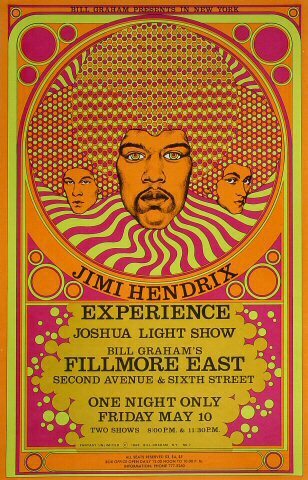 Not only was Jimi a music genius, he was a PR genius as well because word traveled quickly and Jimi Hendrix became a much bigger household name after this. 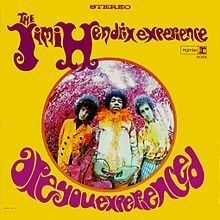 With the media salivating over the band, they would create one of the most influential albums in rock music history with Are You Experienced, their classic debut project. Many feel this is the greatest debut in rock music and I'd honestly agree (though I'm not the biggest expert). However, with an album that features timeless songs such as the aforementioned "Hey Joe" and "Purple Haze" along with "Foxy Lady", "May This Be Love", "Third Stone From The Sun", as well as the title track itself, it's hard to argue against it. After 50 years, the album currently sits as certified 5 times platinum in the US, a very big feat to accomplish for the band. Following this success, the group would keep performing and making noise all over the world, but there was nothing greater than his performance at the Monterey Pop Festival. After a rousing set that had the audience going crazy, Jimi smashed his guitar and reportedly set it on fire again, utilizing one of his older stage tricks and the image is once again yet another iconic moment for Jimi in his career. This was essentially his breakthrough moment in the United States, and this was where his fortunes would change for the better... and probably for worse also. After touring the West Coast, The Experience returned with their second album "Axis: Bold As Love", and honestly, this is another classic under their belt, but not quite as groundbreaking or game changing as their debut. 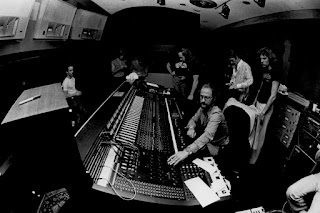 It features amazing tracks like "If 6 Was 9", "Bold As Love", and one of my all time favorites, "Castles Made Of Sand". Still, this album didn't seem to connect AS great as their debut, but it did have success and allow the band to continue performing and stealing the shows at every turn. 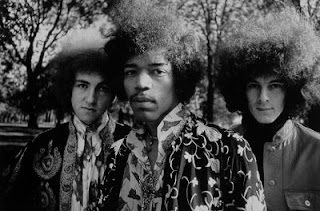 Their final album together, Electric Ladyland arrived in 1968, and was seemingly more influenced by Jimi than anyone else in the band. This album is a true classic and is right up there in terms of importance and power with their debut. 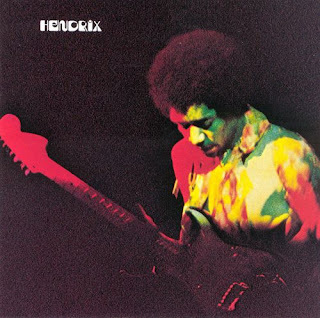 Hendrix, a true creative, would end up being erratic and all over the place with his work ethic, which seemed to cause friction with the band, but it doesn't show at all in this album. 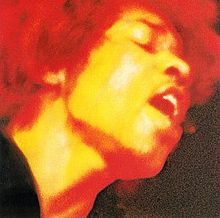 Electric Ladyland is a timeless piece of art, and with one of the most iconic guitar riffs ever on this album with "Voodoo Chile", a 15 minute odyssey that showcased just how talented Jimi and The Experience were. 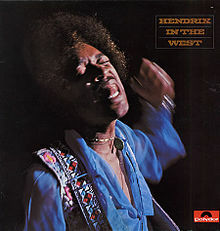 This four sided album featured the aforementioned "Voodoo Chile", "All Along The Watchtower", "Burning of The Midnight Lamp", and many more classics from the Experience. It's certified double platinum in the US, but the quality of the album far exceeds those sales. It is truly an iconic work that solidified the fact that The Jimi Hendrix Experience was one of the greatest bands in the history of rock music. Period. 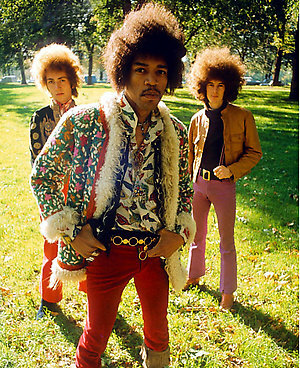 After this, Jimi would embark on his own, after a break up left the Experience on the back burner. 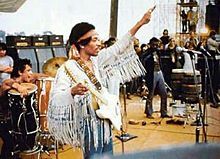 Shortly after the break up, Hendrix would headline Woodstock and take his place as the highest paid rock musician in 1969. His attire, his vibe, and his rendition of "The Star Spangled Banner" live in infamy from this moment and is probably the biggest rock moment of all time. Hendrix was already a legend in his short time of visibility, but that more than solidified what we already know. 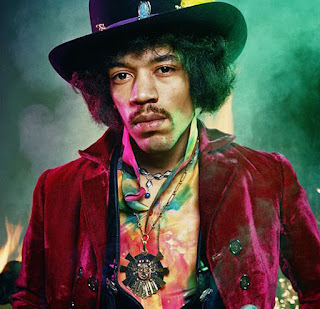 He would end up working with a new band for his final official album Band Of Gypsys, and that would be the next direction for his career, but regardless, the Jimi Hendrix Experience is what he was most known for. It's the apex of his career. -One of the lasting pieces of his career and legacy comes in the form of Electric Lady Studios, a New York based recording studio that he was responsible for opening and creating. 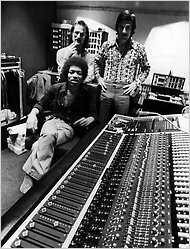 After working hard at other studios, Jimi saw fit to create his own to reduce his costs of recording and to create his own vibe. Jimi never really got to use the studio to the potential, but many infamous albums and songs were created there long after his death, keeping his legacy and his honor alive without him physically present. 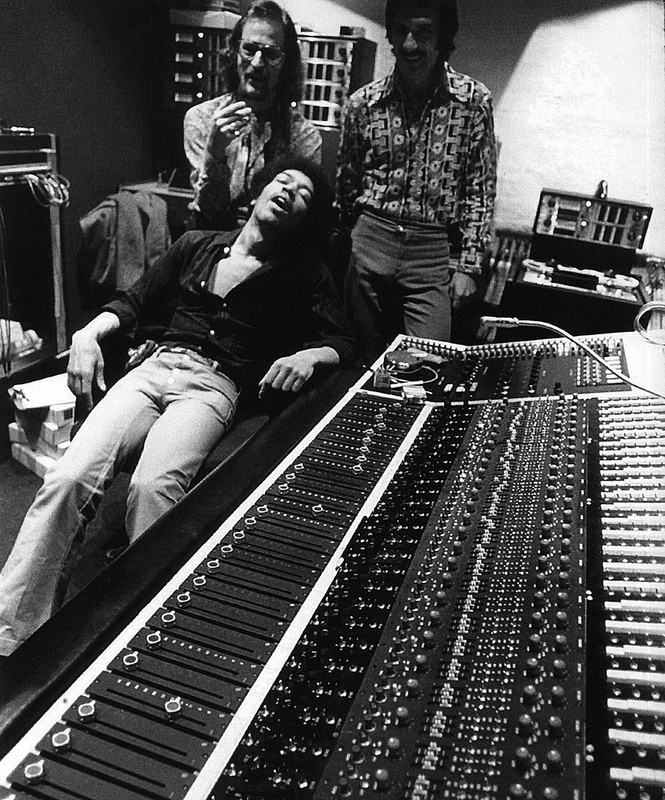 The spirit and vibe of Jimi lives on and Electric Lady Studios captured that vibe, that feel, and in some ways, it showcased the genius and energy he brought to the table. 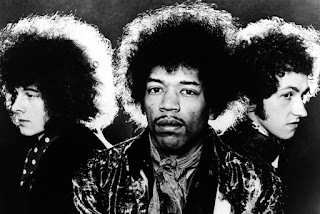 -Whether we talk Band of Gypsys, The Jimi Hendrix Experience, all of the posthumous albums released following his untimely death, or just the man in general, Jimi Hendrix was one of a kind. He's the greatest rock star in history, and one of the greatest musicians ever. He went through a tough upbringing and experience ridicule through his career, but what he did best was shine bright. He was a star, he was an artist, he was a musician, he was a legend through and through. 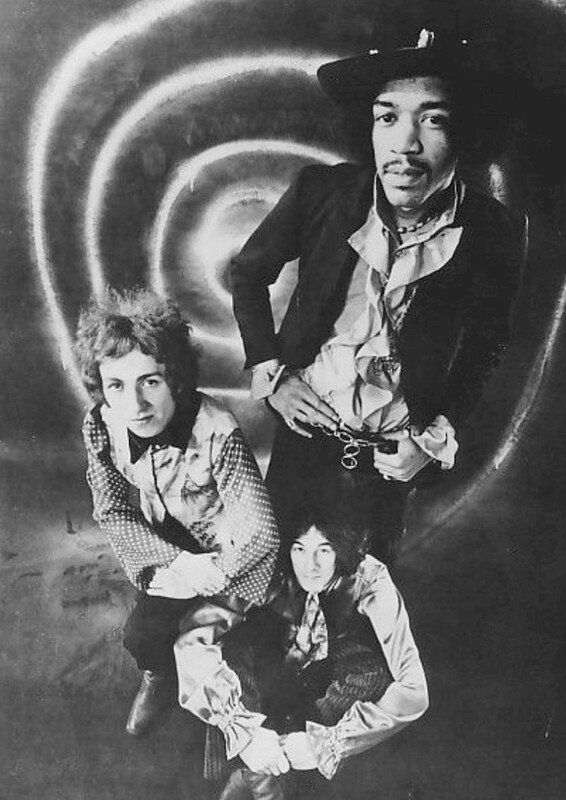 There's so many layers to the man Jimi Hendrix and his career that you could never pin him down as one thing. The one word that comes to mind for me however, to sum him up, is legend. 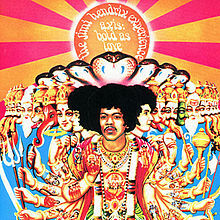 Jimi Hendrix was a legend and his legacy will forever live on.